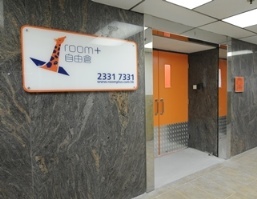 an e-mail at kwuntong@roomplus.com.hk for further storage information. 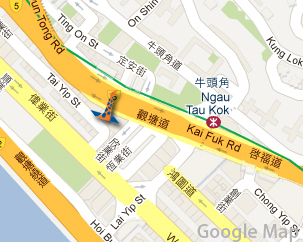 From Hong Kong or East Kowloon, drive westbound on Kwun Tong Road. Turn left at Kong Tak Road, right on Tai Yip Street, left at Siu Yip Street and then left again onto Wai Yip Street. 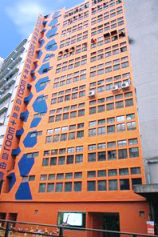 After approximately 300m, turn left again into Tai Yip Street and ROOM+ is around the corner. From West Kowloon and New Territories, drive south along Wai Yip Street before turning left into Tai Yip Street. At Ngau Tau Kok MTR Station proceed to Exit B6. Cross the road and walk westbound along Kwun Tong Road. Walking time is approximately 3 minutes. 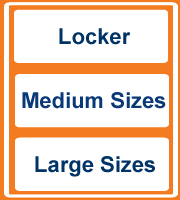 You can't miss us we are the big orange and blue building! 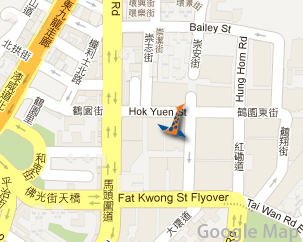 Drive along Tokwawan Road towards Hung Hom, left turn at Hok Yuen Street then right turn at Man Lok Street. Car park entrance at Man Lok Street. Arrival at MTR Hung Hom Station, and take bus routes 5C, 8, 11K, 21 and alight at Ka Wai Chuen Stop, walk along Ma Tau Wai Road and right turn at Hok Yuen Street for 3 mins. a. Arrival at MTR Hung Hom Station, and take bus routes 5C, 8, 11K, 21 and alight at Ka Wai Chuen Stop, walk along Ma Tau Wai Road and right turn at Hok Yuen Street for 3 mins.